Looking for a local supplier of reclaimed and sustainable cypress sleepers? Yummy Gardens are now stocking cypress sleepers that are both environmentally friendly and hard wearing. Cypress Macrocarpa is a native to North America and has been used in windbreaks across Australia for many years. Cypress macrocarpa is naturally resistant to termites and decay and with no chemical additives make for great raised veggie beds or other landscaping uses, it is also known as Golden Cypress and Monterey Cypress. 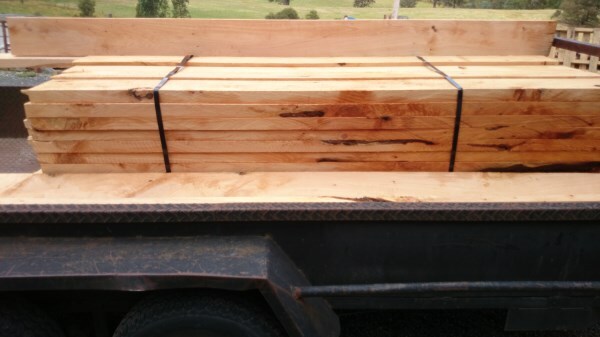 Our Cypress Macrocarpa sleepers are ethically sourced in Gippsland from old, damaged or redundant windbreaks. 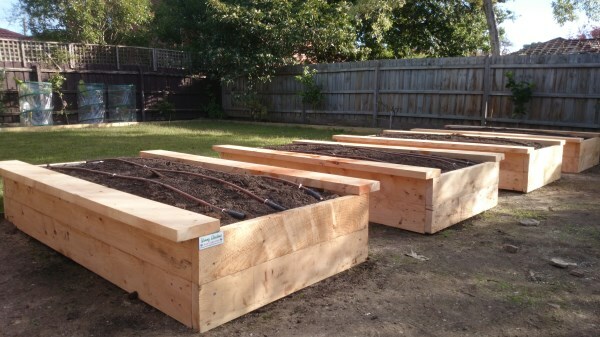 They are an excellent sustainable option for landscaping and look fantastic in raised veggie beds. We can supply you with different sizes on request, however our most popular being 200x 50 which we stock is ideal for raised vegetable beds and priced as follows. We can also cut your sleepers to size and arrange delivery to your door. If you would like one or both of these options please give us a call.